Few weeks ago, I mentioned that I got a Dell ST2220T multi-touch monitor. To do so, just right click on your desktop (or open the Control Panel) and open the Screen Resolution window (as picture below). Once this screen open, select your multi-touch monitor a tick the check box: “Make this my main display”. From here, your touch monitor will be set as default and display the Windows taskbar, but you can easily move back your taskbar on the other screen if needed. The multi-touch was working but behaving on my other laptop monitor It was a bit more subtil and took me a good half-hour to figure it out!!! 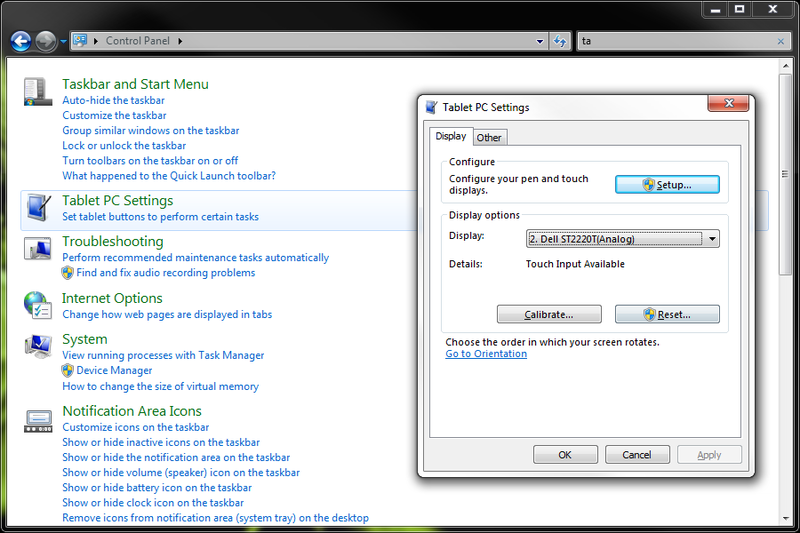 Once you have connected a multi-touch monitor to Windows 7, a new option appears in the Control Panel: “Tablet PC Settings”. 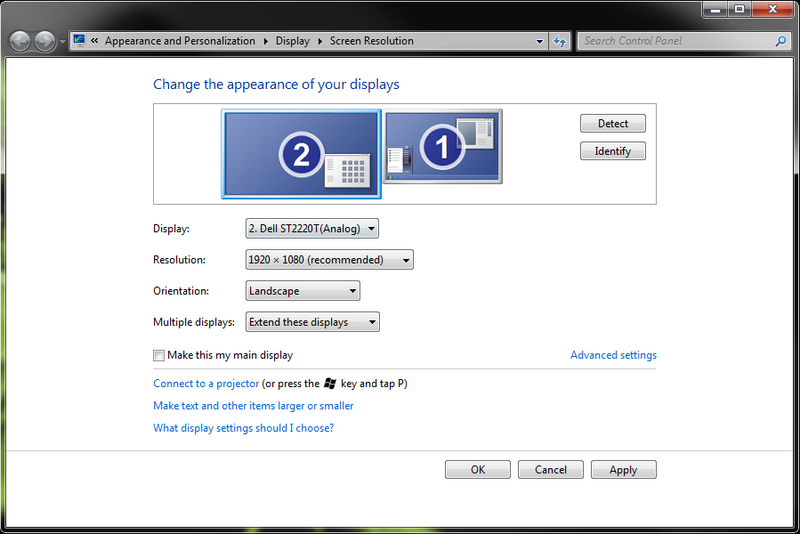 From the Tablet PC Settings window, you can select your monitor and see/set which one receives the multi-touch device! You can finally setup and calibrate the touch input for your display. So, if you see this screen, and the “Calibrate…” button is disabled, set your touch monitor as main screen and retry!